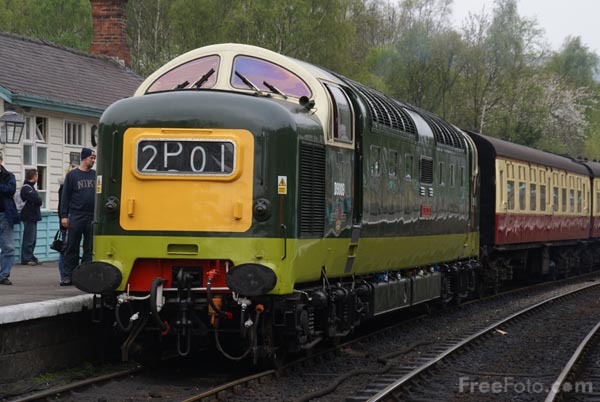 Photograph of Class 55 Deltic locomotive No D9009 Alycidon during the North Yorkshire Moors Railway NYMR Diesel Gala 2007. At 3300 horsepower, the BR Type 5 Deltics were one of the most powerful diesel locomotives ever used in front line service in the UK. VIEW: More images from the category North Yorkshire Moors Railway or taken at the same location or around the same time .